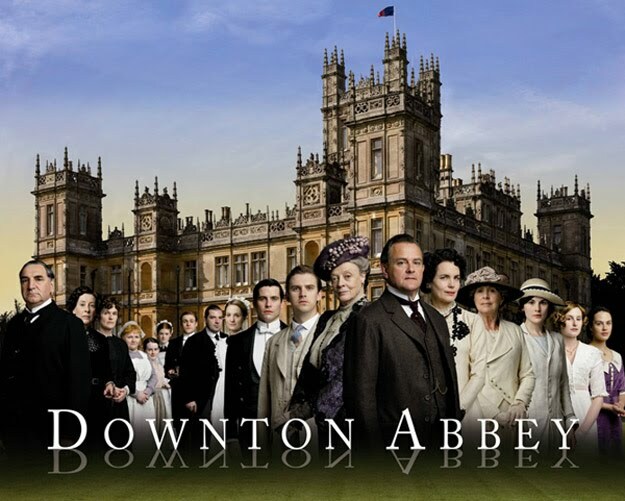 The phenomenon of the immensely popular Downton Abbey is the result of one man’s life long interest in history and the lives of the upper classes in Britain. I am speaking, of course, of the tv show’s creator and main writer, Julian Fellowes, who is also a very accomplished actor, seen on such shows as Monarch of the Glen. A love and preoccupation with history is one of the most striking characteristics of British society, at least to a north American, a land where history is almost totally forgotten in the race to tomorrow. Go into any small country town in the United Kingdom and you will find historians, local historians, ordinary towns people who have studied the local history of there village/town.I encountered such a man in the small town of Shaftesbury, which had only two streets. He owned and operated the local food market, continuing a tradition in the village which had been in place since the middle ages. For this little village was once an important market town. People came from all over the county to buy and sell their goods. There was no manor house like Downton Abbey in the little town, but its history made every tree, rock and right of way truly important and interesting to the people who lived there. Do you really think that Edwardian servants, like those in Downton Abbey, were interested in their history? They were. Not in their history but in the history of the great house and family that they served. In the UK, history trumps money and false progress. Only a nation like that could have produced a Downton Abbey or withstood Hitler’s terrifying onslaught during the second world war. Will the new awareness and appreciation of these factors in British life produce a new and better crop of historical novels, screenplays and television shows? As long as their are people like Julian Fellowes who believe that where they’ve come from is at least as important as where they are going, that the past can and should inform our actions in the present, they will. Novels that come from this viewpoint can’t fail to be of interest. Britain’s recent failure to have a historical viewpoint in Afghanistan cost lives and money. Anyone who knows the history of Britain’s incursions into Afghanistan knows that attempts to interfere in the life of that tribal society have been an unmitigated failure for two hundred years. Tony Blair should have had Julian Fellowes at his elbow when making policy decisions. That way, he might not have forgotten about the valuable lessons of the past. North America throws away its history, tears it down and destroys the past, even the personal history of families. Downton Abbey teaches us to revere what makes us who we are. That’s why it’s so popular. Three cheers for Julian Fellowes and writers like him. Let’s hope it rubs off on others. This entry was posted in 19th Century London, 19th century women's rights, British royalty, Downton Abbey, Edwardian history in England, the "Great Game" and tagged Downton Abbey, impact of Downton Abbey, impact of history on modern events, importance of history, lives of royalty, servants in great houses, social history of England, the Buccaneers, the value of Downton Abbey. Bookmark the permalink.